We send you an e-mail to the address you entered. Open it using the app Mail or Safari on your iOS device. Click the link and Install the Profile, in a few seconds your device information will be shown on this page. 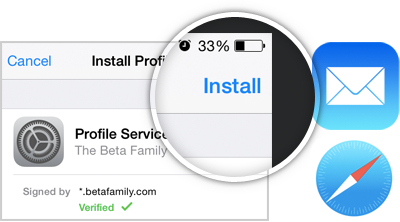 SuperUDID is a part of Beta Family - a beta testing service for iOS and Android applications.